Lenders of Binani Cement are meanwhile looking forward to April 13, when the Supreme Court is scheduled to hear Binani Industries' petition. Is there any authority left who's not been approached in the ongoing Binani Cement-Dalmia Bharat consortium-UltraTech Cement drama? 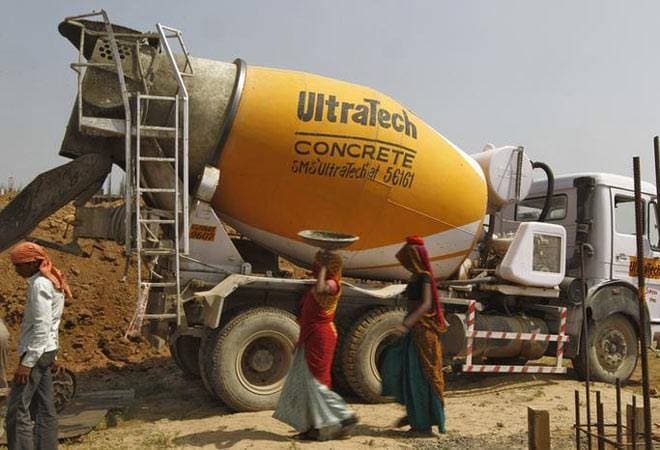 A day after news broke that Binani Industries had moved Supreme Court regarding UltraTech Cement's out-of-court offer for its subsidiary Binani Cements, Dalmia Bharat has reportedly sought the Central Vigilance Commission's (CVC) intervention in the matter. According to The Economic Times, Dalmia Bharat dashed off a letter to the CVC laying out the progression of events since February 27, when its subsidiary, Rajputana Properties, was declared the highest bidder for Binani Cements by the beleaguered company's Committee of Creditors (CoC). "The unsuccessful bidder, UltraTech Cement, sent mails to CoC members revising its offer upwards on March 8, 2018 and requested CoC to consider its revised offer despite being well aware that the bidding process did not allow submission of revised bids. Shockingly, two PSU banks (EXIM Bank and SBI Hong Kong) who are part of the CoC petitioned the NCLT seeking directions to CoC that negotiations also be done with the H2 bidder. These actions are in clear violation of CVC guidelines for closed bids," the letter said, mentioning two CVC circulars dating back to 2007 and 2010. It added that apart from violating CVC guidelines and shaking public confidence in the bankruptcy code, the settlement between Binani and the lenders will also "send a wrong message to the international investing community, whose participation in resolving mounting NPAs of the banking sector is vitally important and in public interest". The New Delhi-based cement maker was reportedly referring to the participation of Bain Capital Credit in the consortium along with Piramal Enterprises. Pointing out that the CoC's reported move to allow the promoters to seek an out-of-court settlement circumvents the dedicated insolvency process, Dalmia Bharat's letter sought the CVC's intervention to examine the matter and pass suitable guidelines in public interest. "The CVC will be taking its own action. Let the IBC be saved," Mahendra Singhi, group CEO - Cement at Dalmia Bharat told the daily. Lenders of Binani Cement are meanwhile looking forward to April 13, when the Supreme Court is scheduled to hear Binani Industries' petition. The latter has already deposited a sum of Rs 750 crore to show its commitment, along with a bank guarantee for the remaining amount of the total offer of Rs 7,266 crore. To remind you, last month, UltraTech's board had agreed to issue a 'comfort letter' to provide the above-mentioned amount in return for 98.43 per cent stake in Binani Cement. "If they can take the company out of insolvency proceedings, we are happy to pay the same amount of money to buy the company and it has to be used to repay the debt. For that purpose they wanted a letter of comfort and we have given them a letter of comfort. I do not think that we have gone against IBC anyway," UltraTech Cement CFO Atul Daga was quoted saying earlier. This offer is certainly more tempting to lenders since it is not only fatter than Dalmia Bharat's winning bid of around Rs 6,500 crore but also promises 100% payout to both unsecured and secured creditors. The daily added that Binani Cement's CoC on Saturday decided to conditionally back the deal between Binani Industries and UltraTech, subject to the Supreme Court's nod. The Kolkata bench of the National Company Law Tribunal also recently adjourned the hearing of the Binani case to April 16 in light of the hearing in the apex court. While the battle for this stressed asset is intensifying by the day, the clock is ticking down to the 270-day deadline specified for bankruptcy resolution under the Insolvency and Bankruptcy Code. Bank of Baroda had dragged Binani Cement to NCLT last July after it failed to repay a loan of over Rs 97 crore. It will be ironic if after all this litigation drama, the asset just ends up being liquidated.